Don’t let this be you. Wear seat belts. Because of inertia, objects (including you) resist changes in their motion. 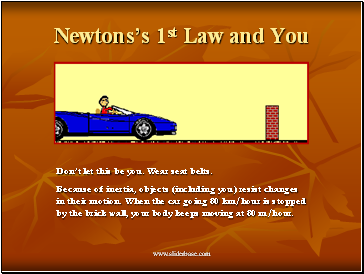 When the car going 80 km/hour is stopped by the brick wall, your body keeps moving at 80 m/hour. 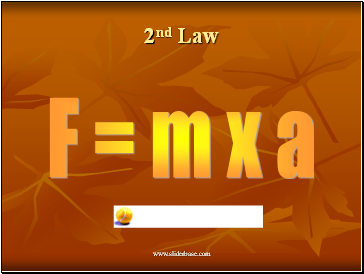 The net force of an object is equal to the product of its mass and acceleration, or F=ma. 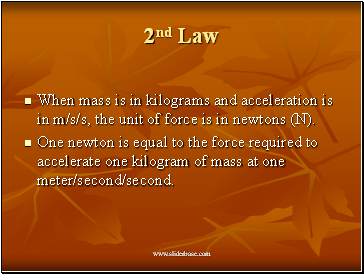 When mass is in kilograms and acceleration is in m/s/s, the unit of force is in newtons (N). 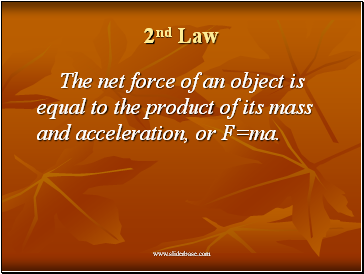 One newton is equal to the force required to accelerate one kilogram of mass at one meter/second/second. How much force is needed to accelerate a 1400 kilogram car 2 meters per second/per second? 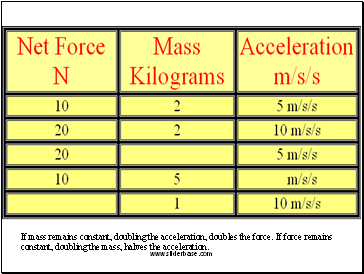 If mass remains constant, doubling the acceleration, doubles the force. 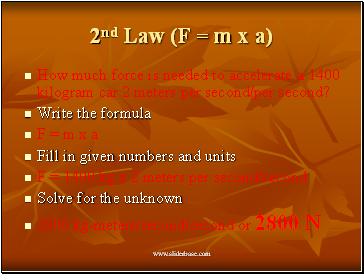 If force remains constant, doubling the mass, halves the acceleration. 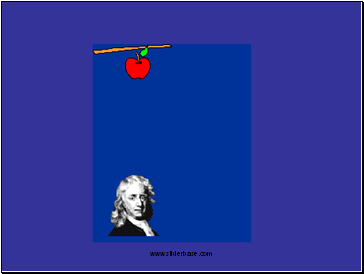 Newton’s 2nd Law proves that different masses accelerate to the earth at the same rate, but with different forces. 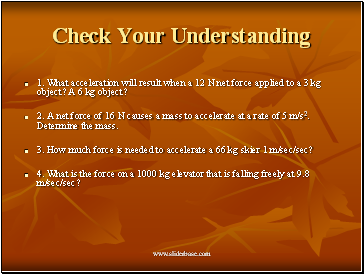 We know that objects with different masses accelerate to the ground at the same rate. 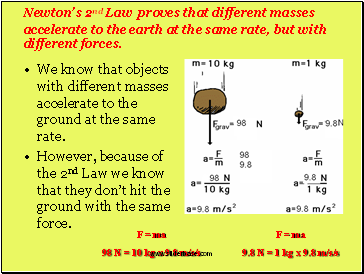 However, because of the 2nd Law we know that they don’t hit the ground with the same force. 1. 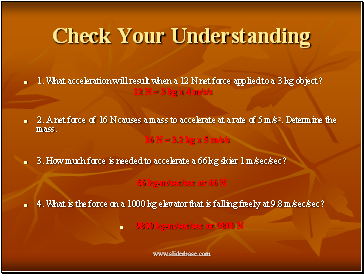 What acceleration will result when a 12 N net force applied to a 3 kg object? A 6 kg object?